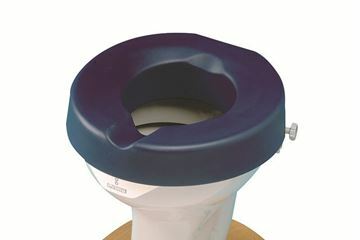 Raised toilet seats are a simple way of minimising excessive bending and over-balancing for those with limited mobility. 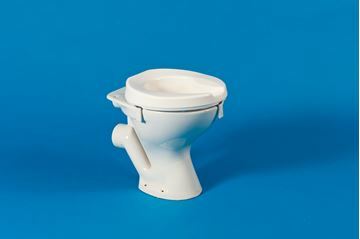 It can be fitted securely to any toilet in seconds as the brackets are easily adjusted by hand. 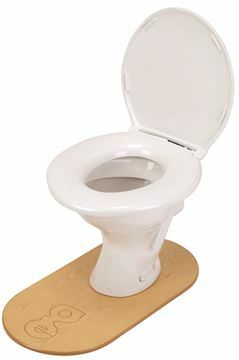 Gordon Ellis and Co. are acknowldged experts in raised toilet seats. We have a seat to suit almost every need, producting the widest range of seats of any manufacturer. 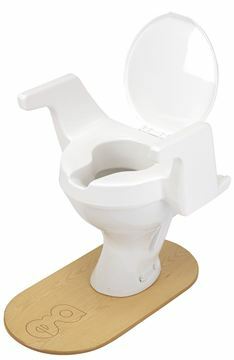 Raised toilet seats come in three standard sizes: 2 inch (5cm), 4inch (10cm) and 6 inch (15cm). 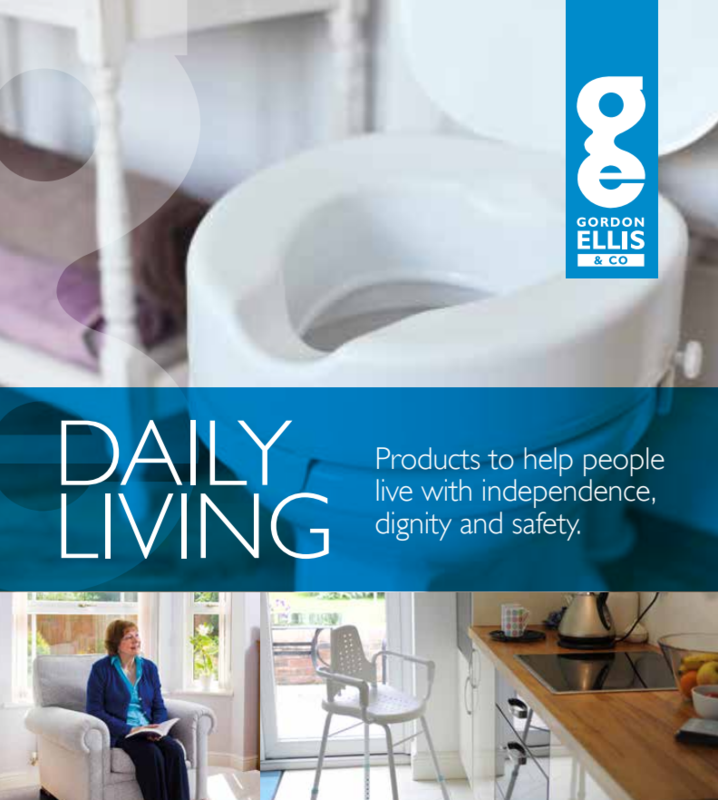 Our range includes toilet seats that can be easily removed for cleaning, seats for bariatric or dementia care, and seats with arms or on a frame. 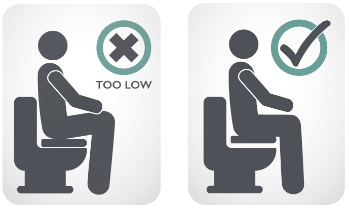 To get the perfect position, your knees and hips should be at the same height when sat on the toilet seat. A seat that is too low can be uncomfortable and more difficult to stand up from. 1. Measure the distance between trhe floor and back of the thigh, just behind the knee. This is the recommended seat height. 2. Measure the current height of the seat, and subtract from the first measurement. 3. The difference bewteen the two is the measurement of the raise required. Please feel free to browse our range and contact us if you have any questions. Stylish, smooth contoured design for comfort and hygiene. 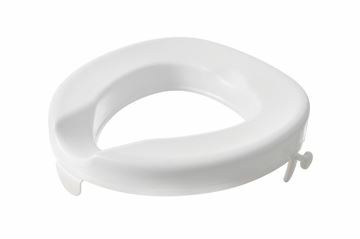 Strong, long-lasting raised toilet seats, suitable for autoclave use. A larger comfortable seat, for anyone up to 60 stone. 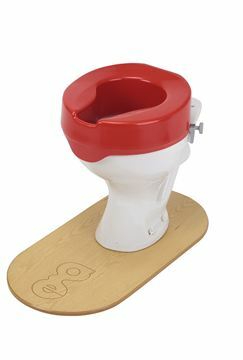 A toilet splash guard with easy adjustment and removal. Since its launch in 1978, it is known for it's high quality. 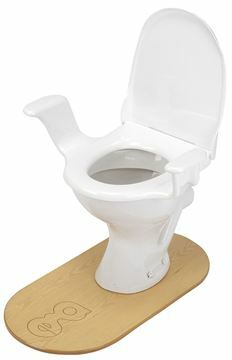 Easily removable and hygienic toilet seat with built-in arms. Strong, stable toilet seat with built in arms. 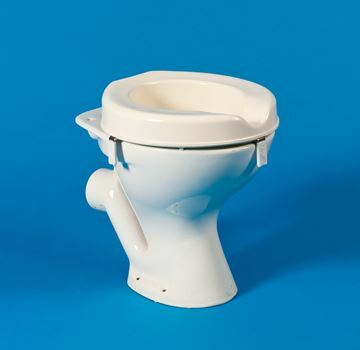 Features the highest standards in injection moulded toilet seats. High contrast toilet seat for dementia care. Prima 2inch Toilet Seat with soft cover.